Looking for a last minute student gift? How about making one? Every year I give my students a book (purchased cheaply through Scholastic), a pencil (dollar store), an eraser (dollar store), and a crayon (or a few crayons depending on the size I make them). This also makes a fun back to school gift. Here's how to make the crayons. 1. 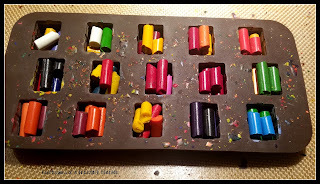 Get a Silicone Mold - This makes it easy to remove the crayons when they are cool. Below are some Amazon Affiliate links for you to check out to get an idea of what to look for. This year, I made present shaped crayons. In the past, I have made Santa hats and Christmas trees. Unfortunately, they were buried somewhere in the move. 2. 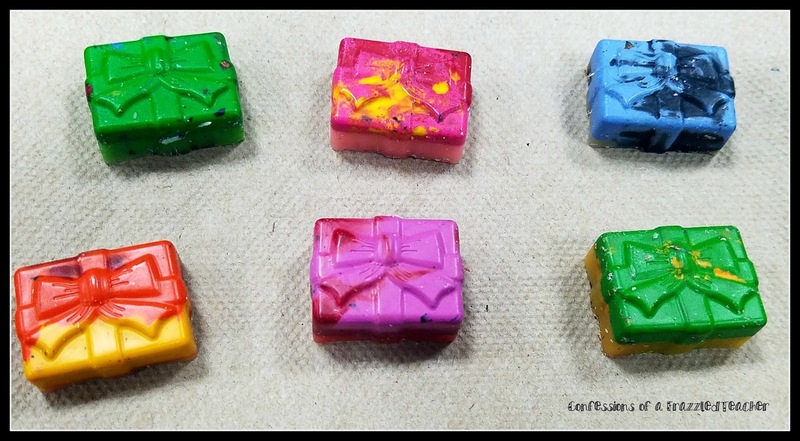 Removing Labels - Peel the labels off of broken crayons. This is an excellent job for students! 3. 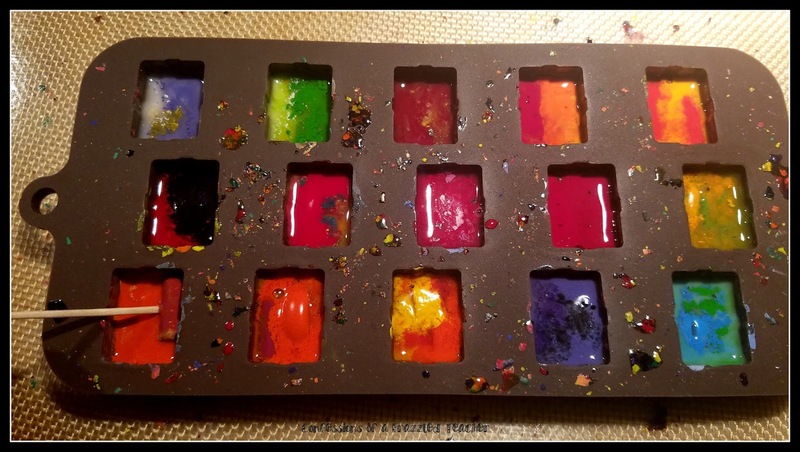 Color Coordinate Crayons - While it would seem amazing to have an assortment of different colors together, fight the urge! It will look like an ugly shade of poop! 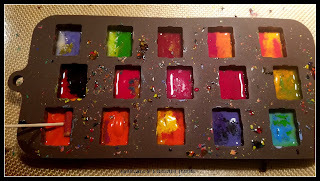 Choose colors that coordinate nicely together and place them in the molds. 4. Bake the Crayons - Bake the crayons at 230 degrees. If you use Crayola crayons, they usually melt in about 15 minutes. Rose Art crayons take a lot longer - 20-25 minutes. 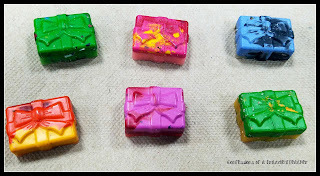 If you find the crayons are not melting completely, break up the chunks with a toothpick. 5. Wait - Let the crayons completely cool before removing them. I usually let them sit overnight to make sure they are really done. Then pop out and give away. Tips: Have a jar where kids can put broken crayons. This means you will always have an endless supply of crayons.